One hundred years ago, researchers at what is now Colorado State University began investigating a disease affecting cattle on the state's high-mountain ranches. The disease, which caused significant death loss, particularly in calves, was called "brisket disease" due to its association with swelling in the brisket area of affected cattle. The disease also became known a "high-altitude disease" because it was found in cattle at elevations over 7,000 feet. However, Texas Tech University veterinarian Joe Neary, VetMB, PhD, recently told participants of the Range Beef Cow Symposium that the disease, more accurately defined as bovine pulmonary hypertension (BPH) or right-heart failure, increasingly affects cattle at lower elevations, including those in Great Plains feedlots. Also, research from Neary and others suggests BPH could be associated with morbidity and mortality associated with bovine respiratory disease (BRD). Neary explains that BPH occurs when low oxygen levels cause the pulmonary arteries to contract and narrow, increasing resistance to blood flow and causing blood pressure in the pulmonary arteries to rise. Eventually, the heart cannot pump enough blood through the pulmonary arteries into the lungs to keep up with the volume entering the heart. This leads to dilation of the right chambers of the heart and congestive heart failure. "In advanced cases, the failing right-side of the heart causes blood to back up, or become congested, in the veins. This increases the blood pressure in the veins, causing them to distend and forces water, which is normally present in blood, out through the permeable blood vessels and into surrounding tissues such as the brisket area." Veterinarians can use the pulmonary arterial pressure (PAP) test to determine the risk level for BPH in individual cattle, and with the condition being moderately to highly heritable, the producers commonly use the PAP test to screen bulls and replacement heifers prior to using them in herds at high elevations. Cattle with PAP scores above 49 mm Hg are considered at high risk for brisket disease at elevations higher than 7,000 feet. Neary says that cattle managed at higher elevations remain at the highest risk of suffering from BPH and right heart failure. However, his ongoing research and other studies have shown that BPH occurs in significant numbers of cattle in feedlots at between 2,000 and 4,000 feet in elevation. Higher elevations correlate with higher incidence of BPH in feedlots, but researchers have found cases in operations at 2,000 feet or lower. 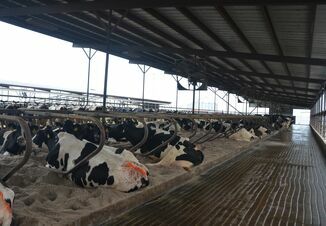 The feedlot cases tend to occur in older, heavier animals, in contrast to cases on mountain ranches, which tend to occur in pre-weaned calves. Researchers suspect that a combination of factors, including genetics and management for rapid growth and heavy finished weights could contribute to the incidence of BPH in cattle at lower elevations. Clinical signs of BPH can include labored or open-mouthed breathing, rough hair coat, glazed eyes and reluctance to move. Visible swelling of tissues such as in the brisket area might or might not occur, so the signs can easily be misdiagnosed as respiratory disease. Neary suspects that BPH and right-heart failure could be significantly under-diagnosed at lower elevations, with deaths attributed to pneumonia actually resulting from right-heart failure. Diagnosis of heart failure from BPH at necropsy requires a close examination of the heart, which will show an enlarged right ventricle. There are other potential causes of an enlarged right ventricle, such as bacterial endocarditis (bacterial colonization of the major heart valves), that must also be ruled out. BPH and BRD also are related in that respiratory disease, by reducing an animal's lung functions and blood oxygen levels, increases the animal's risk of developing BPH. 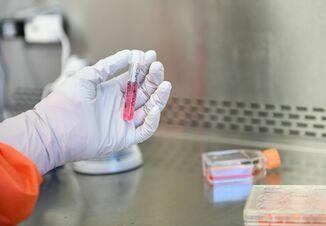 Researchers have found that cattle treated for respiratory disease are two to three times more likely to develop right heart failure than untreated cattle. Neary says he has seen cases in which it appears pneumonia was responsible for development of BHP, but it was right heart failure that was the cause of death. Neary adds that it currently is unknown how many right-heart failure mortalities are misdiagnosed as pneumonia, whether pulmonary hypertension predisposes cattle to respiratory disease as well as to heart failure or whether BPH reduces the effectiveness of antimicrobials used to treat respiratory disease. A group of researchers are conducting an online survey to measure awareness and prevalence of congestive heart failure in feedlot cattle. 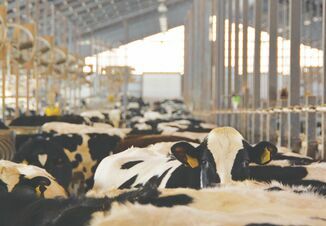 The survey, managed by researchers at the University of Nebraska, Kansas State University and Texas Tech, in cooperation with NCBA, is intended for anyone involved in feedlot health programs. Find the survey online at beefusa.info/survey.